In the mid 1990’s, a new type of fire sprinkler— the quick response (QR) sprinkler— was introduced. With a design focused on life-saving features, these fire sprinklers became the primary sprinkler installed in buildings with light hazards but lots of people, such as office buildings, schools, assisted living facilities, etc. However, because they are so new to the scene and because it is vital that they respond quickly, it was decided that they needed different testing requirements than older, standard response (SR) sprinklers. If you have, or believe you have, quick response sprinklers installed in your building, following is all of the information you need to know to better understand your sprinklers and their testing requirements. What are Quick Response Sprinklers? 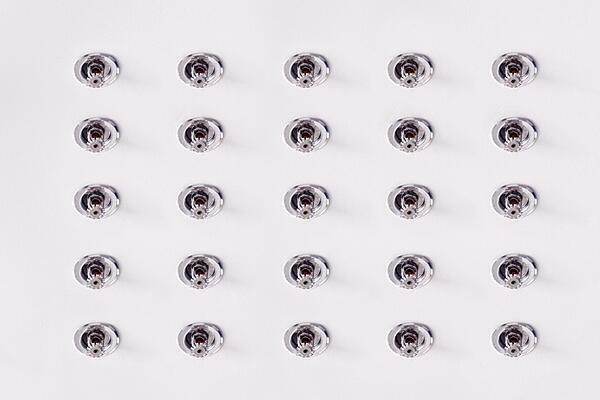 Quick response sprinklers were designed with a smaller bulb to be more sensitive to heat and thus faster acting. In addition to this, their placement and the way they discharge water is designed so that the water covers higher up on the ceiling, keeping the ceilings cooler to prevent flashover. A flashover is the sudden ignition of all combustible contents in a space due to the objects reaching their ignition temperature simultaneously. Between these two unique design features, these sprinklers are able to prevent a fire from climbing higher in a building and to respond faster, thus improving the chances of people escaping and surviving the fire. Again, because it is vital that these sprinklers respond faster than standard response sprinklers, and because they do not yet have the history to prove their long-term efficacy, it was determined they needed different testing requirements, especially in the beginning until they had a proven track record. While standard response fire sprinklers don’t have to be tested until 50 years after installation, quick response sprinklers require testing 20 years after installation. This is to ensure that the bulbs remain as sensitive as they were designed to be. If you’re doing the math, yes, that does mean many office buildings, schools, health care facilities, residential structures, etc. that were either built in the 90’s or had quick response sprinklers installed in the 90’s are likely coming due for their first round of testing. The testing process only requires that a sample of the total number of fire sprinklers be tested. The requirements state that no fewer than 4 sprinklers, or 1% of the total number of sprinklers (which ever number is highest) be tested. If one of the samples of a test group fails the test, then all of the sprinklers belonging to that test group must be replaced. The plunge test is the method by which the sprinklers are tested. Essentially, the plunge test is where the sprinkler is placed into a plunge oven or tunnel – a unit where the air temperature, velocity, and pressure can be controlled. The temperature and velocity of the air is set to exceed that of a fire. The sprinkler is submerged in the oven and then the time it takes for the sprinkler to respond is recorded in seconds. If it responds within the time frame it was designed to, it passes the test. If it does not respond within the designed time-frame, it fails the test. Do Your Quick Response Sprinklers Need to be Tested? Was your building built in the 1990’s or was your fire sprinkler system installed in the late 1990’s to early 2000’s? If so, your sprinklers may be due for their first test. If you are unsure, or if you know it’s time to get them tested, give Koorsen Fire & Security a call. They can help assess your sprinklers and answer any questions you may have.